11:18 PM Welcome to the 2014 For Sale thread! Looking to buy, sell or barter? Note, we now have a For Sale Page for people who have something they want to sell, a Barter Page, for people who want to swap something or swap for something, and a Wanted to Buy thread, for people who are looking to buy something specific. 5:30 AM Very nice Sebastion Charlier Brodur custom in (C). 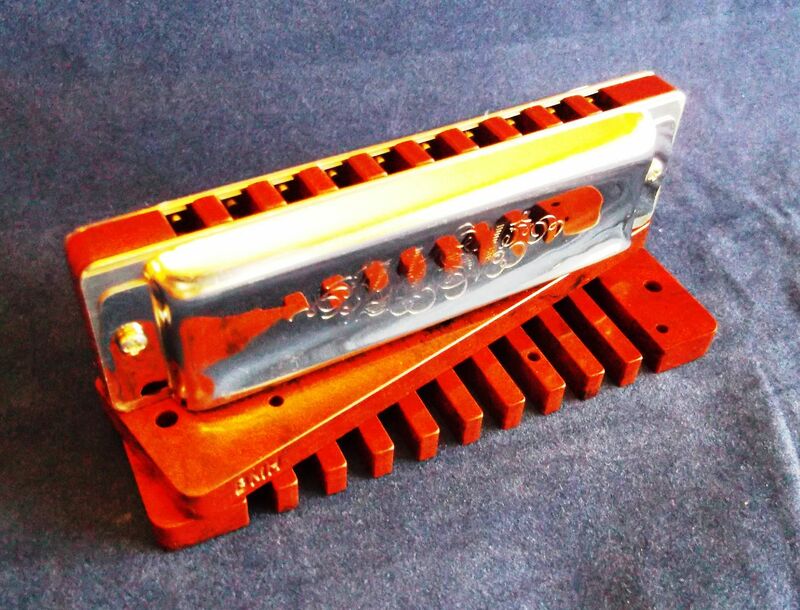 Custom covers and comb built around Golden Melody plates. This harp is for advanced players who need consistent over blow/draw capabilities. Very high quality instrument with an amazing sound. 8:16 AM Looking to buy a Strnad 10-hole pickup. 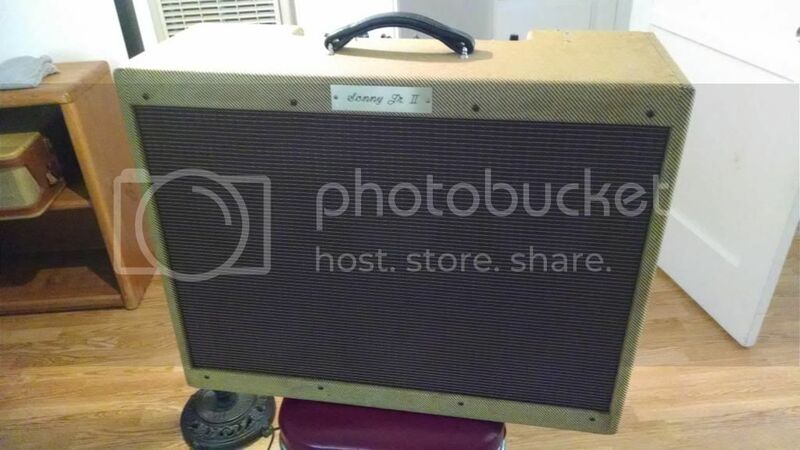 Also looking for any of the smaller Roland JC series amps, either a 90, 77 or 50. 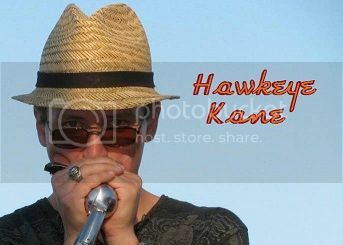 High-quality screws for any brand of harmonica. These screws are made from A2 Stainless Steel (304) and feature a Phillips head for easy use with commonly available tools. I buy them in bulk. - M2 10 mm screw - as used in the Hohner Special 20 harmonica, Suzuki harmonicas, Marine Band converted to screws and my custom harmonicas. 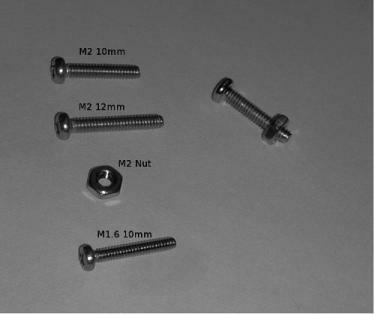 - M2 12 mm screw - Perfect for cover plates on Hohner Special 20, Marine Band 364/365 or other harps with thicker combs. - M2 Nuts - Use a nut and bolt to hold cover plates. Can also be used to bolt the reed plates to the comb instead of tapping the reed plate. - M1.6 10 mm screw - as used in Hohner Crossover, Golden Melody, MS series and Seydel harmonicas. Worldwide shipping is only $2 extra. Need a tap? M2 or M1.6 tap $5. High-performance combs made only from earth-friendly materials. Custom overblow harps. 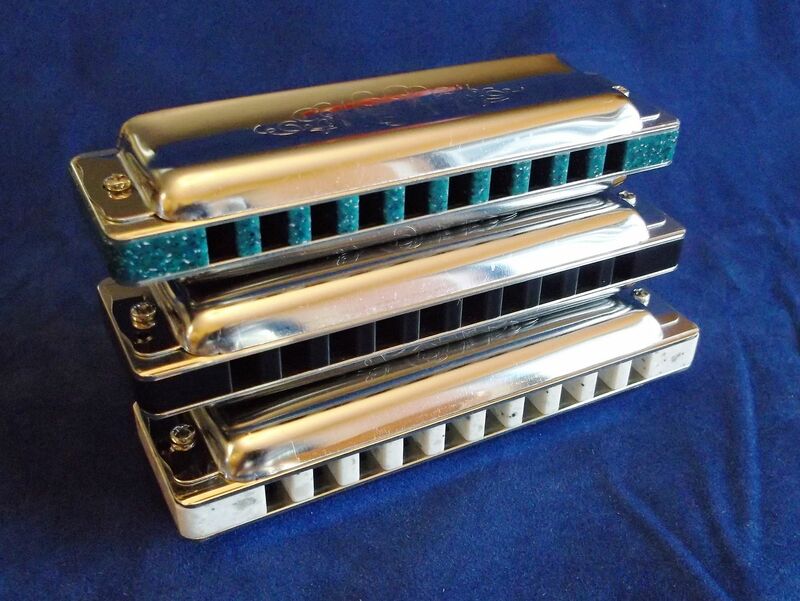 Harmonica service and repair. 3:08 PM I'm going to be building some harps for sale soon. I was remodeling my shop, and messed up my back. I should be OK in a couple of weeks, and then I will finish a bunch that I have started. 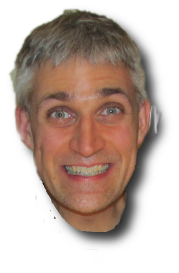 Please watch my web site. Barely used but not new. 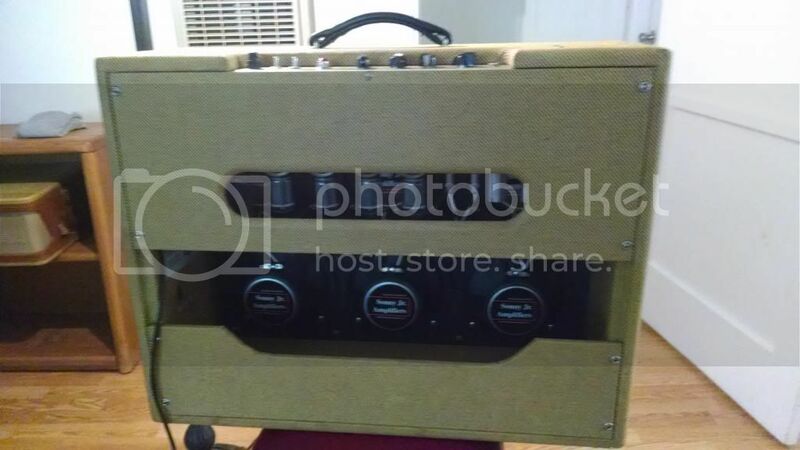 New Harp Gear HG30 Amp Its Green and cream tolex with gold grill cloth I bought it years ago and never played it I'd like to get $1000. 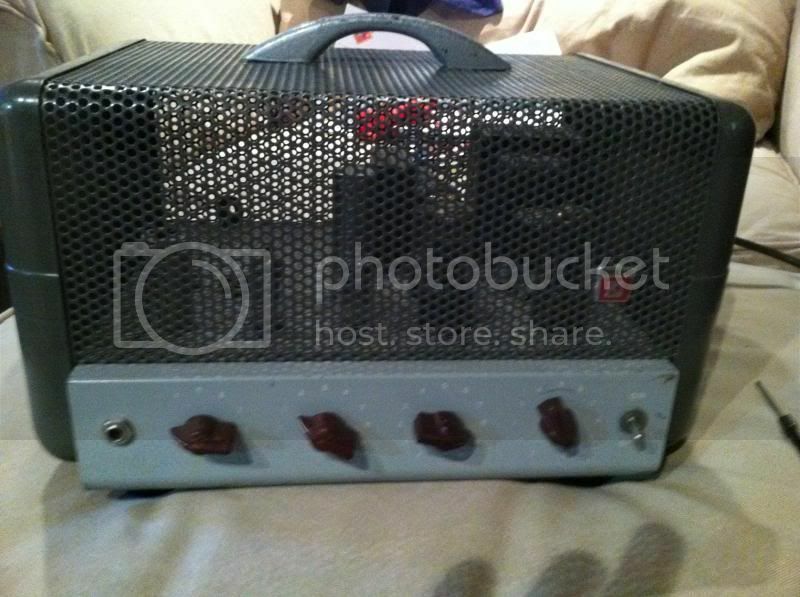 Victoria Electro King Amp - Its Victoria's take on the 1957 Gibson GA 40 I'd like $1800. 9:02 AM Bluegrass Mike from Canada? 3:33 PM I have a Special 20 in Db, with a nice Andrew Zajac custom comb on it. The harp is a little used, and the comb virtually new. I'm just not much of a Special 20 guy. Make me an offer for the harp with its original comb, or with the custom comb, or for the comb alone. I'll also list this in the new 2014 Barter thread. These harps are not a full custom. 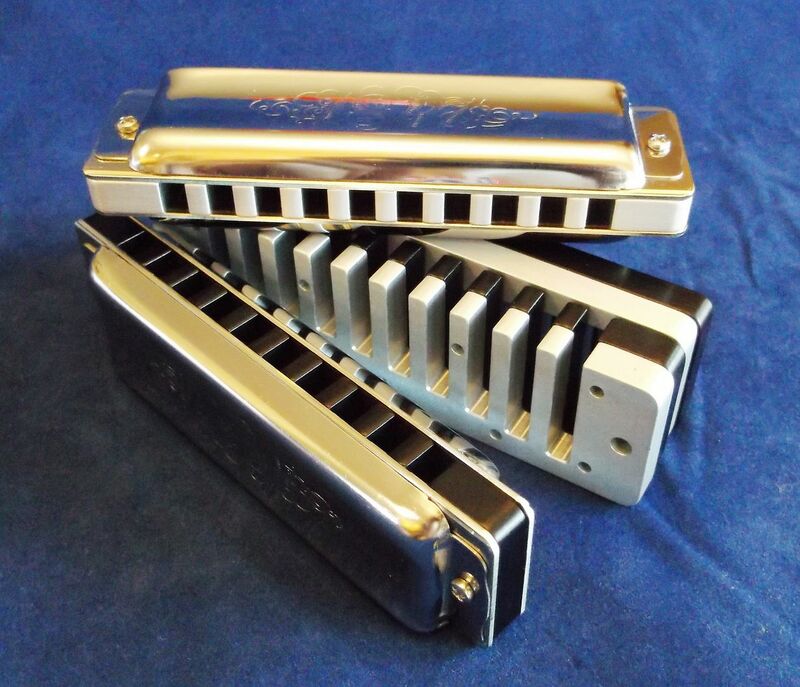 Each is a blues harp with moderate work (same as the optimized 1847's from Mantra Harmonicas). Superior to stock set up with light embossing, the same reed profiling as my top customs, and the same flat sanding. No overblows. Loud, fast, and gapped for moderate to hard attack. Message me if interested. These are the last Seydel harps I plan on doing. All are ready to ship immediately. Thanks! 2:17 PM SOLD!!!! that took 22 minutes!!!!!! I bought one of those 5 packs of Marine Bands from Musician's Friend in December and it arrived today. Keys of A,C,D,E,& G in a case that holds 7 harps. It cost 102.05 plus shipping. Its still in the cellophane. 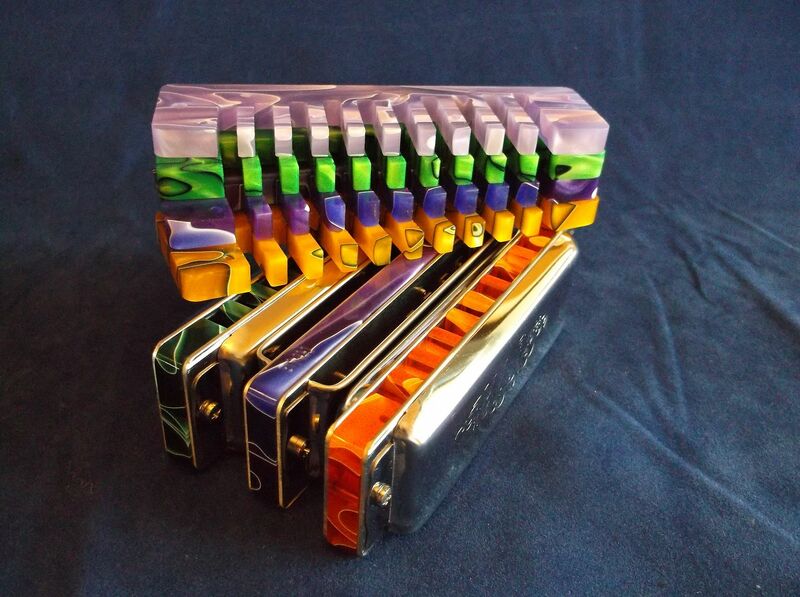 I do not need these harps, so I would like to sell them ( and pass on the enormous savings) for cost plus USPS small box rate ($6) and paypal fees (3%), approximately $112. This is for USA address, it will be more for my overseas pals. thanks. Price includes shipping, etc. These are NOT modified in any way! It has been used for all of ten minutes...has velcro on the back, but I can also include a power supply. I got it to have a looper on my board, but then got a Zoom G3 that can cover that. 11:18 AM I now have CNC Milled Combs for the Seydel 1847. Materials include Anodized Aluminum, Brass, Solid Surface (i.e. Dupont™ Corian®), Hogany and Fancy Acrylic. $27.95 each for all materials except the Brass which is $42.95 each. I am in the process of upgrading my website and will have these listed within the week. If you want one sooner than that, email me and I will be happy to take care of you. 8:53 AM New! I have a new on-line ordering system. Orders for most products on my website can now be placed with a few easy clicks. I have completed two amazing harps which are for sale. - Marine Band in the key of Bb. This harp can overblow holes 4, 5 and 6. These overblows are sustainable and can be bent up by at least two semitones. Although it's not the same range as my "overblow" harps that can handle bent overblows as high as six semitones, it's a very useful range. As such, this harp can be played fairly hard and not choke. Overbends on holes 1, 7, 8, 9 and 10 are available as passing notes if you hit them with a hard attack. - Seydel 1847 in the key of Bb. This harp is set up to the same level as the Marine Band in the above paragraph. It is built from brand new reed plates and a custom Dark comb in Red Wine color. The cover plates are unused but have been in my spare parts inventory for some time. There is a very small scratch on the top plate but is still equivalent to brand new. Prices include shipping to US and Canada. Contact me for worldwide shipping costs. This has been played but is like brand new. Acrylic comb, good slide action, Seydel hinged box. Email me for pricing and options. 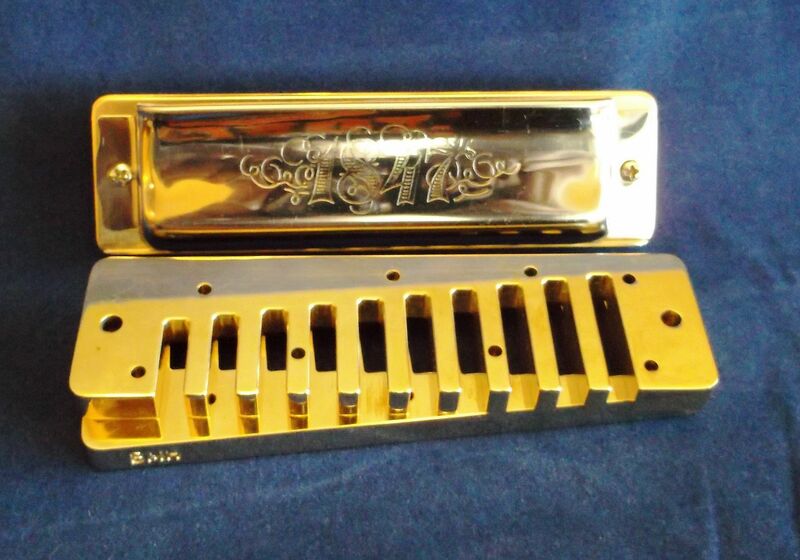 What key is the Hohner 270? Thanks-Tom. 2:21 PM Hohner 270 is C, Kratt is C, Gretsch is G.
9:24 AM Stuff from the Sock Drawer…….. I traded a friend a harp for a HarpBreak, but was sent a used HarpAttack instead. 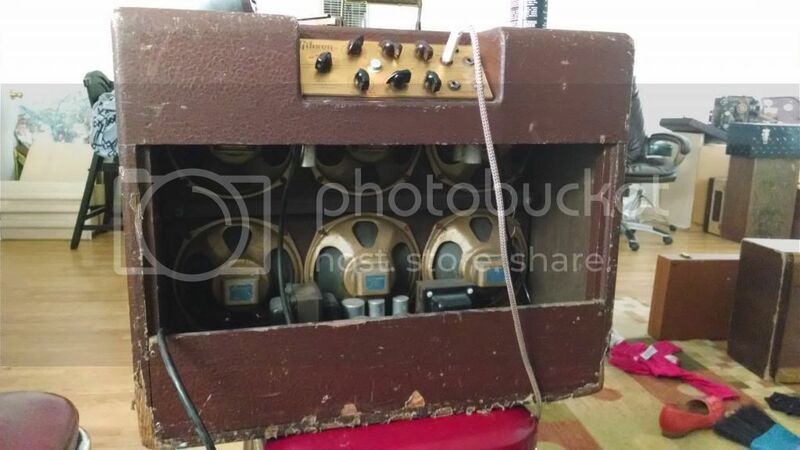 It looks used (no paint chips or anything) and has some marker spots from where he marked his settings. The pedal works perfectly and sounds great - I just don't need a 18v pedal. I'd consider a trade for a HarpBreak. I will take a picture and post audio in the next day. Email if interested! Kinder AFB+ pedal. Works perfectly. I tested it this morning. The Kinder AFB+ pedal kills feedback without reducing your volume like other feedback pedals. It is particularly great with big amps such as the Bassman reissue. This Kinder pedal has a slight mod: It is set up to be powered by an external power supply instead of batteries. 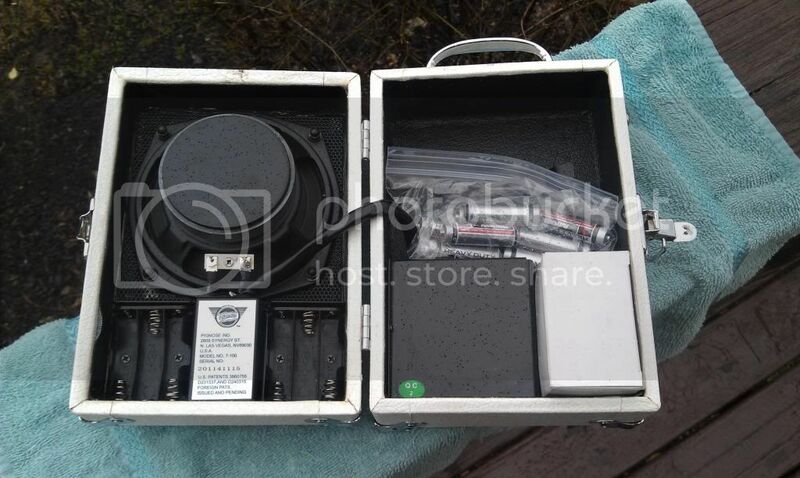 Or, you can open the case and snap off the power leads and use batteries, your choice. I've had it for a couple of months and it was my first pedal. Now that I've had the opportunity to try different things I feel like I would be happier playing through a better amp then adding pedals. Pedaltrain Jr pedal board with Voodoo Lab Pedal Power 2 Plus power supply. With the Pedaltrain soft case and all the necessary power cables for the Voodoo Lab box. This is isolated streams of filtered and regulated power for each pedal. This solves ground loop and hum problems. Crystal clear tone from your pedals. $150 + shipping. Pedals not included. 7:14 AM I have a very nice Seydel DeLuxe (G) Chromatic with an acrylic comb. Like brand new but technically used. 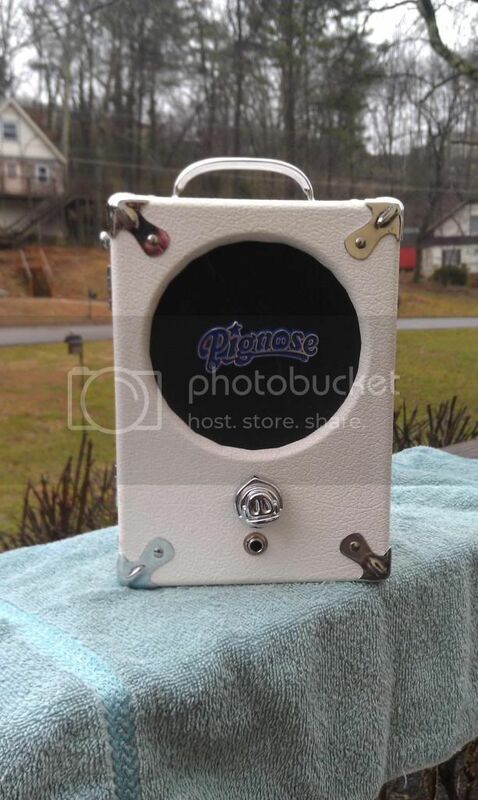 I have a Limited Edition Pignose 7-100 amp for sale. 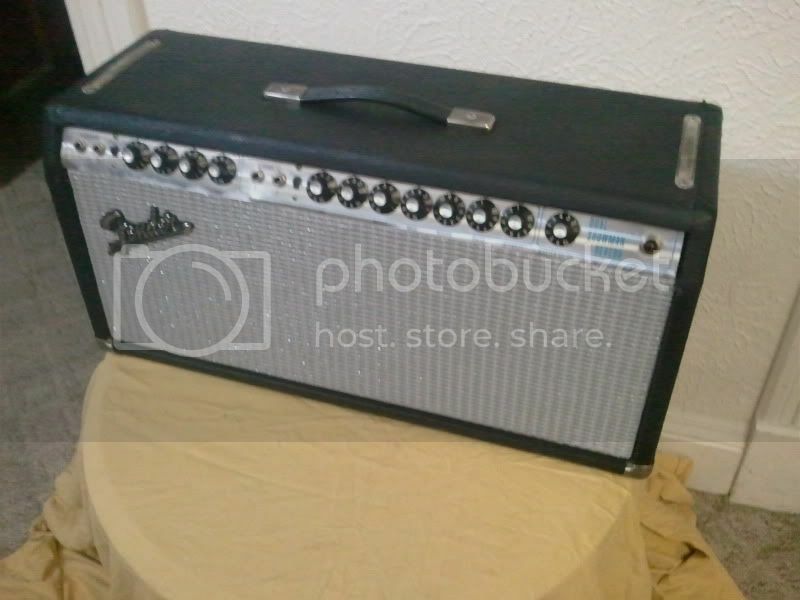 I have only seen one other white tolex 7-100 and this one has less than 1 hour of playing time. The batteries have been kept in a plastic bag and the white box inside includes the power adapter. 5:36 PM Early sonny Jr 2. Six 8s sounds incredible. Like bassman with 8s. Idk what they worth. I'm selling for Al Blake of the Hollywood blue flames. He got it as gift and don't use any amps this big. Non laquer tweed. Nice shape with cover. Make offer or partial trades possible and I can cash him out. Call or text for pics or email. 4:12 AM I have some new (Bb), (B), and (C) Seydel Concertos (Octave Harps). The layout is that commonly referred to as Richter although these are shifted. They are very easy to play and produce a really nice Cajun/Zydeco sound. I can special tune them to Paddy, Country, or Melody Maker. ROCKET. This harp, in Bb, has been tried by myself and by Frank. That's it. You'd never know it as anything but new. But strictly speaking it's "used" minimally. I have it listed on ebay at $57 with free USA shipping. If you want it through this forum post I'll drop it to $55. My email is in my profile. Thanks a lot. Loaded Bassman Baffle with 12/10/8/8 speakers. "but i play it anyway"
11:56 AM Golden Melody Stock Comb and Cover Plates. Good condition, used, but sanitized. 10 bucks for both buyer pays shipping. 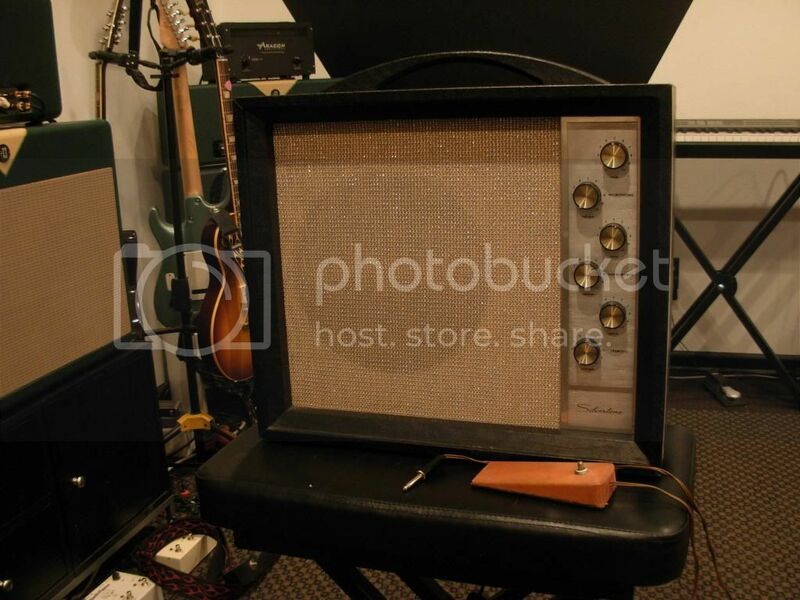 Silvertone 1472. And an early one too if the date on the manual is accurate. This was the predecessor model to the venerable 1482. 10W, 2 channels, tremolo with footswitch, fixed wooden handle. Closest Fender comparison: Tweed 5F11 Vibrolux with a second channel. 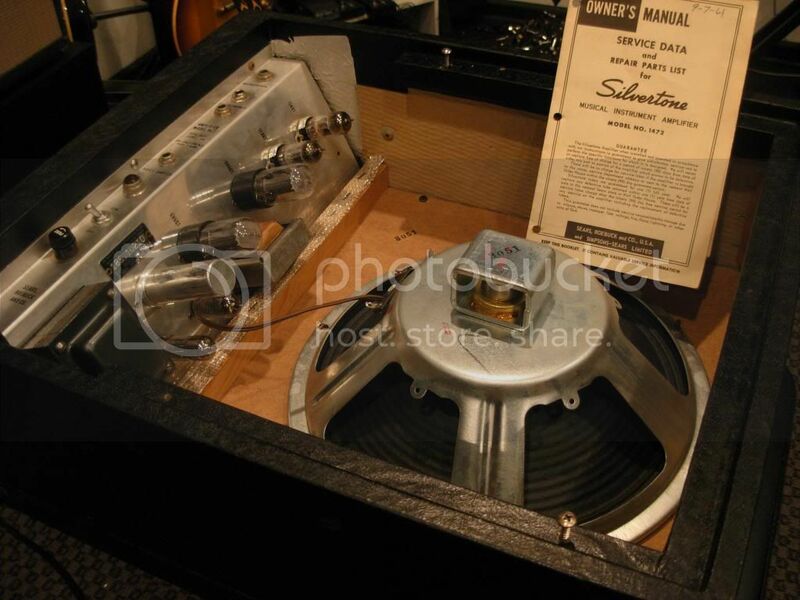 The 12" Fisher alnico in it is blown. 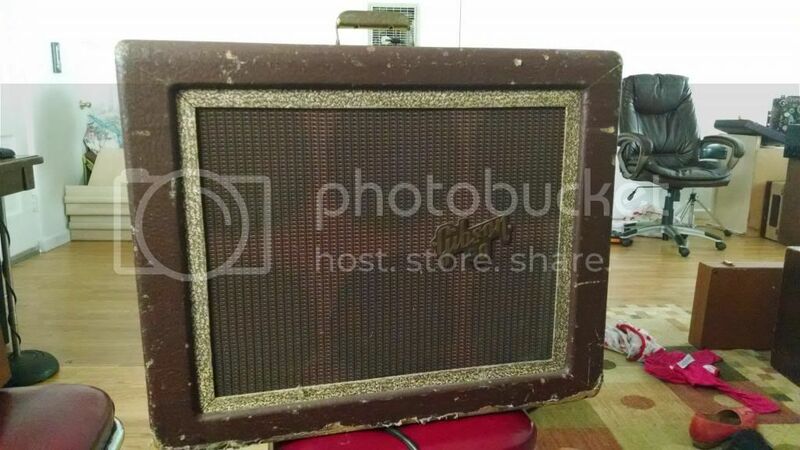 Aside from that, the amp is clean and in good working order. Asking $325 as is plus shipping. I have several sets of a newer designed heavy duty reed removal plier. All steel construction, these are indestructible but do have a replaceable pin. I can modify the receiver for larger rivet heads common to LO and MS Series harps. 4:58 PM Hi there... my name is Sharyn and I live at the very bottom of New Zealand... on the way to Antarctica... I have a Shure 520 ‘green bullet’ microphone (black label - nov 1949) that was given to me by my father some years ago. I don't know specifics of where he acquired it from… he did play trumpet (of course as an army man he started with the bugle but I don’t know if he ever played in a band). I am selling this mic as it really needs a home that will use it and appreciate its unique qualities. I have listed it on our local auction site (NZ equivalent of Ebay… ‘Trade Me’). Check it out if you’re interested or know anyone that might be. 11:02 AM Relisted with Lower Price!